The Welsh Archery Association has moved and can now be found at welsharcheryassociation.com. Modern day archery is no longer about hunting and survival but has been transformed into a sport that is recognized and practiced all over the world. The sport involves shooting arrows at a target from a pre determined distance which is known as target archery. There is also field archery which involves different targets in a natural or woodland setting. 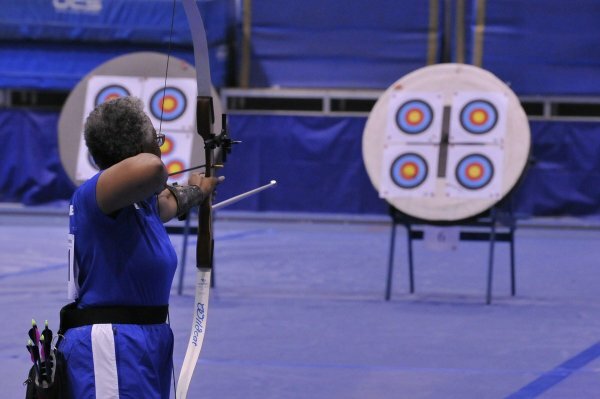 Most archery competitions and events are governed by the World Archery Federation which currently goes by WA but was formerly known as FITA (a French abbreviation).Within WA, there are 156 independent international federations and associations. The WA is recognized by the International Olympic Committee meaning that these rules are typically the ones that players and athletes follow and abide by. Target competitions are held both in and outdoors. 18 metres is the standard indoor distance with outdoor distances ranging from 25m all the way to a staggering 90m. These competitions are either 3 or 6 arrows at a time and they take turns. Each turn is known as an “end” after which you must retrieve your arrows. There is a time limit which is often 2 minutes for three arrow ends and 4 minutes if it is 6 arrows. Field archery is popular in various parts of Europe and involves finding and shooting at targets in the woods or rougher terrain (i.e. not a clearly marked space like target archery). There are often 28 targets in a given round of field archery and some are unmarked, meaning athletes must locate AND shoot them. © 2019 Welsharcheryassociation.co.uk. All Rights Reserved.